The traditional press brake machines are vertical, but the horizontal types are able to form long or narrow pieces of sheet metal that are usually difficult to bend. Press brake machines are mostly used in the automotive and aerospace industries, and in any application that uses metal housings or cabinets. Some additional applications and industries that press brakes are utilized in include: industrial manufacturing, in the assembly of various heavy-duty metal parts and components; electronics, for use in the manufacturing of various electronic enclosures and housings; and construction, to fabricate various safety features of residential houses, commercial buildings and industrial warehouses including guide rails. Press Brakes – Grimco Presses Inc. 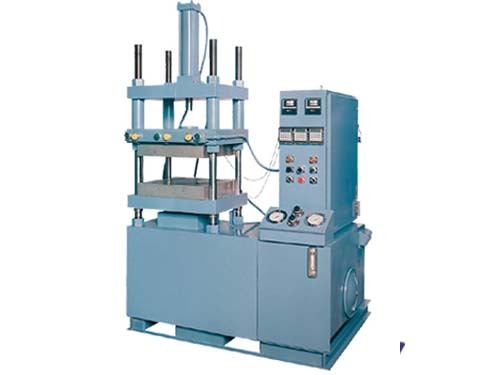 In comparison to mechanical press brakes, hydraulic presses are becoming more popular where steady pressure is needed. They are composed of 3 main parts-a pump, an actuator and control valves, and use highly energized hydraulic fluid, which runs through the different components to transfer energy, lubricate and remove contaminants. The hydraulic pump produces the power that the fluid distributes. It is much more powerful than any electric motor, and is considered the generator of the whole system. 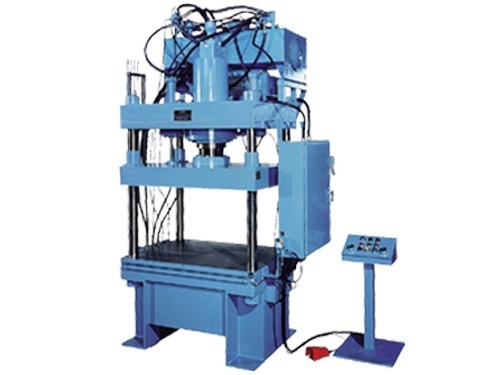 The actuator carries out the actual metal pressing operation. Here, a cylinder, which is considered the motor, transmits energy to a piston, which carries out the pressing process. The control valves direct the energized fluid to the correct place and control the amount that is released. Often, a press brake contains more than one actuator and the control valves must distribute the fluid evenly between them. In addition, there are a vast range of dies that press brakes utilize: some of the many include v-dies, channel forming dies, curling dies and more. V-dies are used to create a variety of bend angles, and are the most common type of press brake die. Channel-forming dies create channels by means of forming two angles at the bottom of the sheet metal. Curling dies are used to form a coiled, or curled, edge on the sheet metal. One useful tool to figure out the total bending force of a press brake is a press brake calculator. Press Brakes Many types of press brakes are CNC (computer numerically controlled) and fully automated-the operator only keys in machine coordinates and positions the axis accordingly.